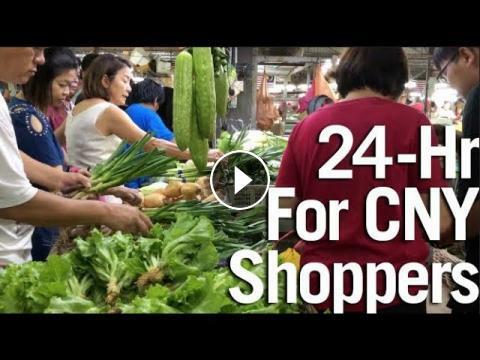 This video takes a tour of the Kajang District Sungai Chua market as it stayed open on the eve of Chinese New Year for last minute shoppers to get their celebration essentials. Ranging from foodstuff, groceries, fruits and even fresh flowers and clothes. Some are here to catch a bite too. Despite the lingering drizzle the crowd never seems to stop coming. It seems this 24-hour seasonal special has been happening for a number of years already and is a popular pit-stop amongst locals here. If you missed this year's last minute shopping, make a date and be here next year. Like, share and be a subscriber to this lifestyle discovery channel for all the latest video uploads right away. Malaysia’s Time to shine : P&G and Tesco Shoppers With Talent Audition 2!